In a world of tyrant rulers and the misunderstood witches who oppose them, this narrative poetry collection explores ruined friendships, self-exploration, and the ever raging battle between good and evil. "a new poet explodes into the scene with a dark, fantastical, & all-too-relatable voice. you will consider this your new friendship breakup soundtrack." 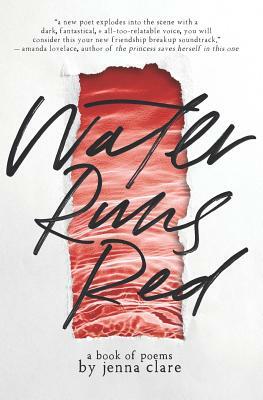 - Amanda Lovelace, Author of the princess saves herself in this one"Riveting, thought-provoking and elegant, Water Runs Red will tug at your heartstrings and mend your soul in one fell swoop." - Sasha Alsberg, #1 NYT Bestselling Author of ZENITH: The Androma Saga.